If you think about how much we’ve changed the way of using different platforms and how much the different devices have been changed to be adapted to our requirements, it’s no surprise that the transformations brought us in a new multi-screen world where we had to rethink the way of accessing internet from different devices with different sizes and layout. 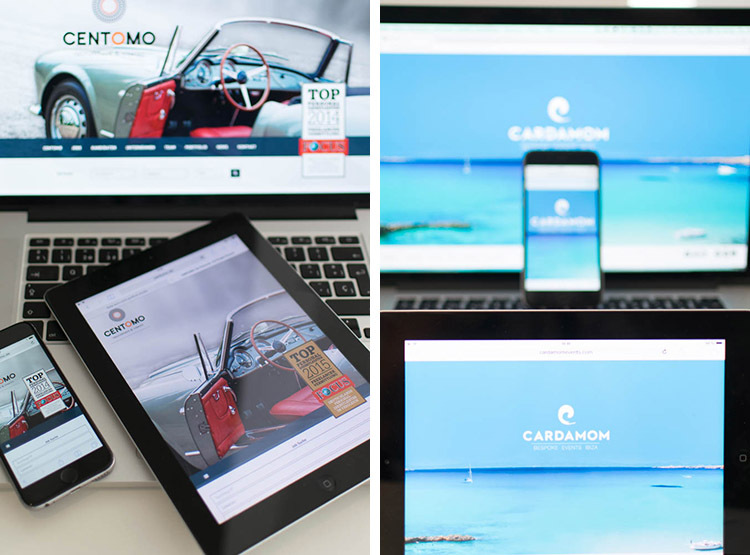 Due to these changes when designing a site it’s important to bear in mind its optimization to allow the display on multiple platforms: desktop, tablets, smartphone or smart TV. In 2012 Google released a study about how we use multiple screens to navigate the web and often perform activities across mobile, tablet and desktop. The essential conclusion of this study is that smartphones are the most used devices throughout the day and usually they are used as the most common starting point for activities across multiple screens. For more information click on the following link. It’s no wonder that following this study Google has decided to take into consideration this new way of using mobile and naturally they are moving towards making the mobile search engine experience more relevant to users’ needs. To provide a better mobile-friendliness ranking, Google has decided to adapt their algorithms and from April 21st 2015 a new algorithm update was rolled out which led to prioritise the websites that are mobile-friendly. This means that if your website is not mobile friendly you are potentially looking at losing traffic and you won’t rank as highly in the mobile search results. Mobile and tablet usage will continue to rise, and therefore Google will pursue the direction of prioritising websites that work properly on these devices to provide a better mobile experience for searchers, and give people exactly what they want. Inmedia Design can help you in staying up-to-date and create or improve a responsive web design to provide the best user experience possible. We eliminate the need to have and manage separate sites and we develop or implement your website to be adapted automatically to whatever size screen and layout it’s displayed on. 1. Flexible, responsive web design sites are automatically adaptable, meaning the content moves depending on the screen resolutions and the type of devices. 2. Enhance user experience, it’s important that when your site is accessed via smartphones or tablets, the user experience runs smoother. Small text that the user has to continually zoom to read or incorrect pages cause distress and the user will leave your page very quickly. With a responsive web design you provide the optimal user experience irrespective of whether device the user is using to view your website thanks to a versatile display, elements of the site such as navigation tools or social sharing buttons or even images and text they all will be re-sized, re-ordered automatically to provide a smoother navigation and a better usability. 3. 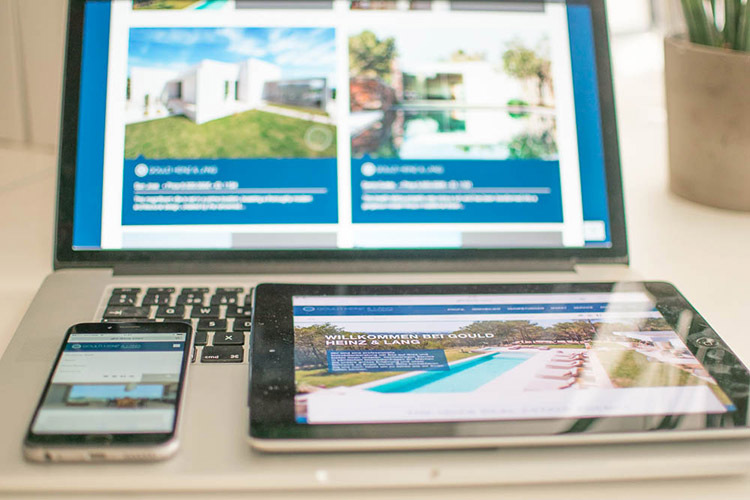 Cost effective, responsive design means one site can be implemented across devices which means less costs compare to having multiple separate websites. 4. Very easy to manage, having one site is far easier than managing two sites. When making changes to your site, you only have to make those changes in one place instead of two furthermore if you have separate sites you will have to manage various SEO campaigns and it’s far easier to manage SEO campaign on one site instead of two separate one. All businesses should look at implementing a mobile friendly website. It’s what users expect. 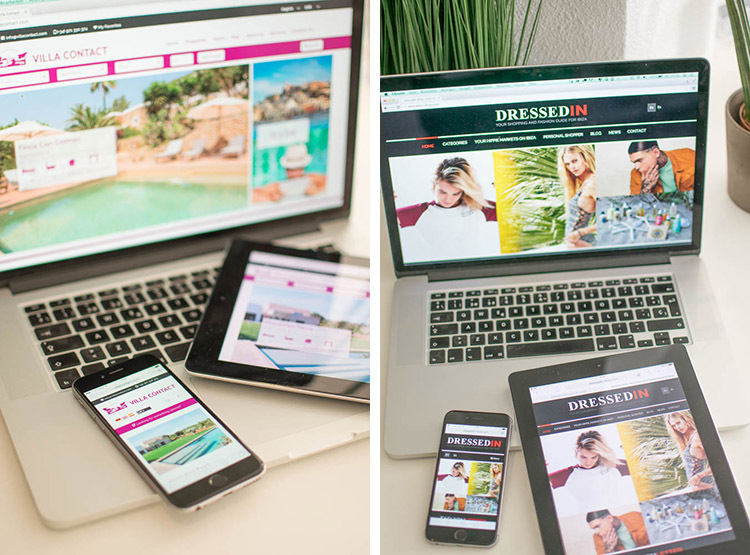 Here at InMedia Design when creating a new site or implementing your existing one, we ensure that responsive design are at the forefront of the service that we provide. a cutting edge responsive web design.